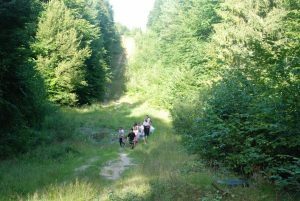 It started very actively, after fast integration, we’ve played team games and great excursions by a reliable Survival Adventure Squad team. The first day has already been described in detail so we will not describe it in detail, we invite you to read the article HERE. The second day of the camp’s adventure was dedicated to project management thread. 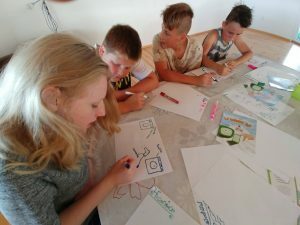 Thanks to Design Thinking workshops organized by Ewa Kusio and led by Kasia and Damian, children were able to combine fun with the profession of Project Manager in an interesting and accessible way. Their task was to design the perfect cup, you could feel a competition in the air! A little bit later, in the evening, Zielona Szarlota was visited by Ada, who introduced children to the secrets of PM. One common feature of all the days of the camp so far (apart from the great humor of the participants ) was the game called Mafia. Everyone has got into this card game and it became an inseparable ritual accompanying us to this day. 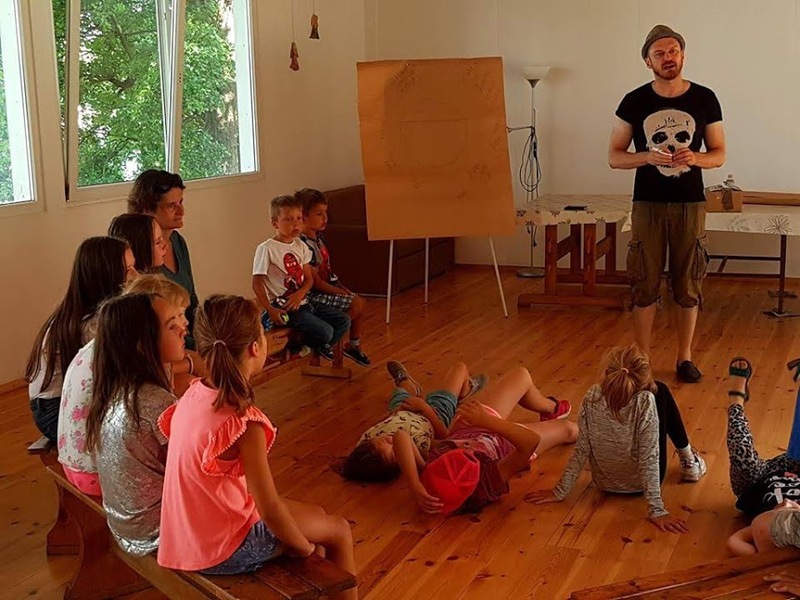 One of the kids, Łukasz, turned out to be an outstanding leader of the game, who perfectly introduced us to the climate and built proper tension, a perfect speaker! Once upon a time in a fantasy land, there was a terrible volcano eruption! Lava streams and hailstones made a great Rainbow Bridge break into tiny pieces. Fortunately, not all is lost! The Magic Dwarfs asked for help from the Sleep Baron, who, along with the helpers from #ESC2018, went to search for scattered parts of the bridge. We spent another two days at the camp in such a climate. The plot sounds as if it were taken out of the bestselling fantasy book! All thanks to the extraordinary people from the Projekt: Snem Pisane, who together with Creative Sight Studio and LUMOS Agencja Artystyczna provided us with a lot of excitement while creating this wonderful universe. 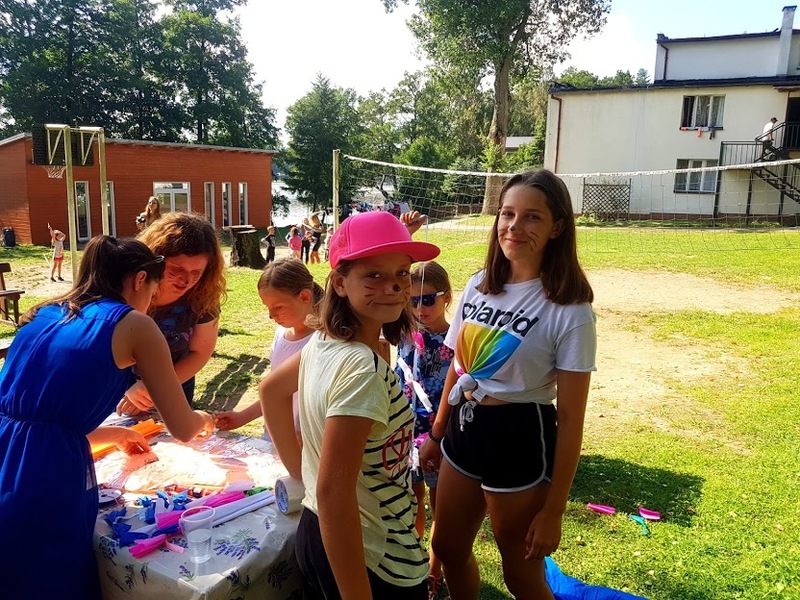 Searching for treasures in the forest, bidding for mysterious boxes, flea market, and board games – there was no time for boredom! One day we were visited by a group of extraordinary people from Metsa Group SSC, they have been with us for many years and every year they prepare new attractions for children. This time it was the construction of kites. It was a real showpiece of creativity and technical skills, which resulted in great, colorful constructions flying through the sky! Finally, our guests organized a game in which children faced rebukes, riddles, Sudoku and other puzzles! After a week, everyone’s favorite part of the week came, by that we obviously mean a weekend! But you shouldn’t be worried, we are not complacent. On Friday, Piotr Bucki explained to the children what to do to create thrilling stories. We also had the opportunity to play Kubba, as well as threatening Viking Chess! Ewa continued to learn how to manage projects through Design Thinking. 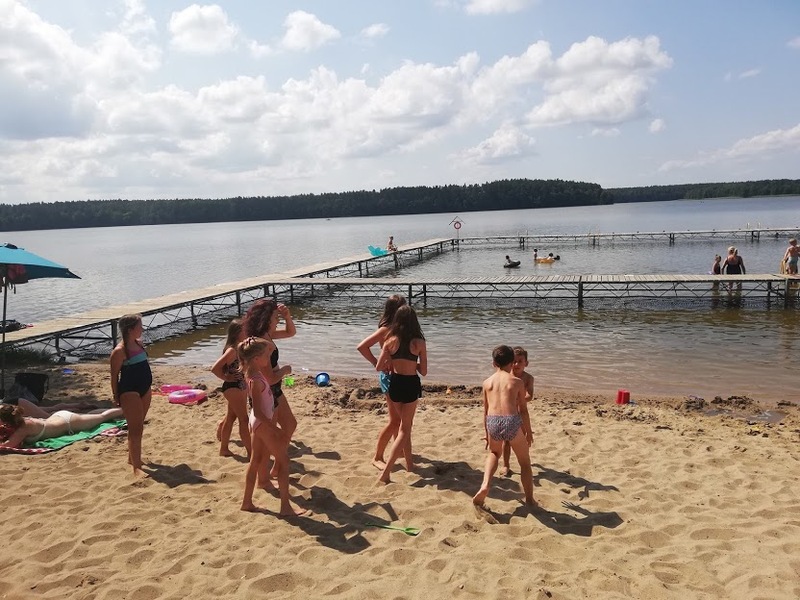 During the weekend, our children had a huge variety of different exercises, we have prepared a variety of activities such as karate lessons or learning how to tie sailing knots. Outdoor activities were still on run, but it’s too obvious to even talk about it ;). As you can easily see, people in the camp are not vain and they struggle with various adventures day by day. In this place, we would like to invite you to visit our Facebook page, where we post updated information about the course. Now it’s time for us to go enjoy ourselves during English Summer Camp 2018!